The way people make use of internet has evolved over the years. A similar evolution amidst the blog-o-sphere and web developers, accompanied by growing number of people turning to the internet for generating online remuneration, has made membership-based sites a popular asset to be possessed. Many membership websites have become hubs for those seeking quality information and profit generating portals for providers of the same. For a typical niche blog one might provide information catering to a particular subject or render a service, and earnings are mostly realized through Adsense or affiliates commissions to a great extent. What a membership website does essentially is that it makes you money by the simple act of a viewer paying a certain amount to access your content or service, by becoming a member of your portal. This is a great way for people online to earn by simply providing quality stuff to people. The membership thus generated, if channelized properly, can maximize the profits further more. The following content highlights four essentials that one ought to do to successfully build a membership website. Most of the times, the ‘fear of failure’ marginally overpowers the ‘desire to achieve success’ that an individual possesses. It’s never too early to start a membership website. One might have the fear of not living up to the members expectations, but one may never be certain about it unless he/she tries it out. 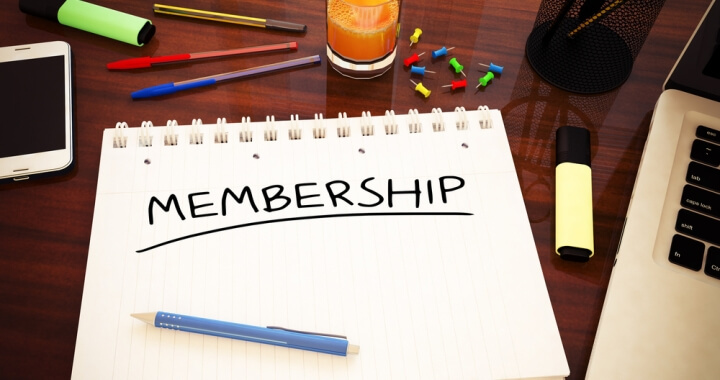 The most advisable thing to do while chalking out the intended membership website, is to learn from those membership websites, you are already a part of. Implement their ideas in your own different way. It’s all about trying and that is what every single successful online entrepreneur ought to advocate. If you are still wanting to take a calculated sort of a risk, charge minimal amounts at the beginning to increase member registrations as well as buy some breathing space to try out new things. The most important aid lies with you i.e. The content which you provide. No matter what it is, a course or simple quality information, or videos for that matter, if your members like it, it definitely aids you big time. As for setting up such sites, WishList Member is a great and handy WordPress membership plugin which will help users to build a membership website with little or no technical knowledge. It caters to being an efficient mechanism which helps you to charge a subscription fee from your members without any hassle as well. It is one of the most widely used plugins with ample support documentation and is definitely worth checking out. Once you are up on your site, the single most important thing to be taken care of is that your members are engaged at all times in chores pertaining to your website. This can be achieved via daily challenges of some sort, weekly updates, a webinar here and there or even simple meetups. Meetups can be done on Facebook groups, Google hangouts or any mode you wish to subscribe to. There can be chat rooms, accompanied by some question-answer forums for you members to interact amidst themselves. It is an obvious observation, that once you rank high on engagement scales with your clients, your business is ought to boom, no matter what the genre is. One needs to understand that most times there are no tricks but only myths that are circulated online. No particular trick or practice guarantees success, so stay away from those who say they are trustworthy advisers. The very fact that they have to iterate they are so called ‘trustworthy’ advisers, raises a question on their credibility and trust quotient. Having said that, a small trick that works most times, is ‘free registration campaigns’. Such campaigns help you grow your membership to greater numbers. It does have a toll on your pockets, but also increases engagement and, in turn, future profits. One could try this out with thorough planning. The 4 points above are more than enough to keep you going. Most of your success, however, will come when you devise and execute your very own perfect plan to run your website while complying with the best practices. So start a membership website and increase revenue you generate from your blog.